Register now for a time and location to enjoy your FREE Avocado & Spinach Power Panini Thin, made fresh to order. Corner Bakery giving away a limited number, and this offer is exclusively available to our eCafe members for a limited time. The email confirmation and a photo ID are required for redemption. No substitutions. Stick to the schedule. Be strict with your children’s normal bedtime in the week prior to the time change. If bedtime is 8 p.m., start your bedtime routine early enough that they can be asleep by bedtime or a little earlier. Eat meals on time or 30 minutes earlier. Meal times help set the day's routine more than anything else. Don't let them sleep late the first morning of daylight-saving time; you need them to be tired by bedtime. Early morning sun will reset the internal clock faster than anything else, so get them outside early in the morning if possible. Shift naps earlier and do not extend them the first week. Some may be tempted to skip a nap in hopes this will make the child go to bed earlier, but some children will not rest as well during the night if they are overtired. Explain daylight-saving time if your child is old enough to understand. They will be less likely to resist going to bed “early” if they understand it. Many children will find it intriguing and ask a multitude of questions about the ability to change time. 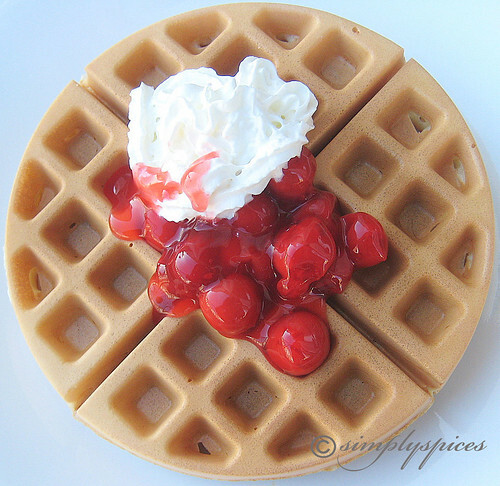 Waffle batter uses very basic ingredients and are easy to make. You can keep this batter in the refrigerator with covered for up to a week. These waffles are very tasty with butter and maple syrup. In a large bowl whisk together the flour, baking powder, salt and sugar. In a small mixing bowl whisk the egg and milk together. Add the liquid mixture to the flour mixture all at once; stir until smooth. Pour this mixture onto pre-heated hot waffle iron. Serve hot with fruits and whipped cream. Alternate 1/2 cup Vegetable oil for Butter. You may need spray your grids with a non-stick spray this depending on your waffle maker instructions. Unroll a can of the dough; separate into 16 triangles; cut each triangle lengthwise into 3 narrow triangles. 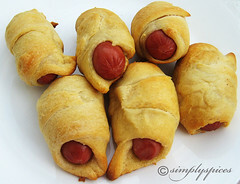 Place hotdogs/sausage on shortest side of each triangle. Roll up each, starting at shortest side of triangle and rolling to opposite point; place point side down on ungreased cookie sheet. Bake 12 to 15 minutes or until golden brown, switching position of cookie sheets halfway through baking. Remove immediately from cookie sheet; serve warm. * This recipe I used chicken hot dogs and cut into cocktail-size.